Copyright:©2018 Wang P. This is an open-access article distributed under the terms of the Creative Commons Attribution License, which permits unrestricted use, distribution, and reproduction in any medium, provided the original author and source are credited. Antibodies constitute a powerful weapon to fight viral infections. Recent advances in the identification and characterization of broadly neutralizing antibodies (bNAbs) of HIV have reinvigorated testing of passive immunization with bNAbs to prevent HIV infection. Using monkeys or humanized mice as challenge models, passive infusion of the potent and broad bNAbs has been shown to be highly protective against HIV. This review summarizes the current state of the anti-HIV passive immunization in animal models. Developing a safe and effective HIV vaccine is a global priority, but it is also thought to be among the most daunting challenges in medicine [1,2]. So far only the RV144 vaccine efficacy trial in Thailand, testing the canarypox prime, gp120, ALVAC/gp120 B/E vaccine, has met with limited success, with an estimated vaccine efficacy of 31.2% . A lot of effort has been put into the development of new tools to prevent and control HIV infections. Passive immunization with protective antibodies is one such approach, which has a long history in the fighting against infectious diseases . Antibody-based approach is attractive because of the diversity of mechanisms of action. In addition to binding and directly neutralizing virus, antibodies can also control and eradicate infections through a variety of other mechanisms via the interaction with our innate and adaptive immune systems [5,6]. Therefore, passive immunization with human neutralizing antibodies has gained momentum as an alternative strategy to prevent HIV infection. HIV infection is usually initiated by one or a few transmitted/ founder (TF) viruses, however, the virus evolves to extraordinary diversity due to the exceptional selective pressure exerted by antibody and T cell responses over the course of infection [2,7]. The antibody, in turn, responds by making somatic hypermutations that result in a spectrum of cross-reactive neutralizing antibodies capable of recognizing the newly emerged viruses [2,7,8]. The continuous virus-antibody “arms race” has resulted in a collection of broadly neutralizing antibodies (bNAbs), which can act antivirally against a wide spectrum of HIV viral strains by targeting the relative conserved epitopes on the surface of envelope . Using bNAbs to prevent and/or cure infection is currently evaluated as one of the major intervention strategies for HIV, for which the potency and breadth of the bNAbs will be a key factor. Due to the establishment of large cohorts of HIV infected individuals and the advancement of technologies to culture and screen memory B cells for neutralization and to sort Env-specific B cells, many bNAbs with great potency and breadth have been discovered recently [9,10]. There are five main targets for bNAbs, which are the five known epitope clusters on the Env trimer . The V1/V2 apex epitope is recognized by the early identified bNAbs including PG9 and PG16 , and also some recent additions with similar epitope specificity including PGT145  and PGDM1400 . The second epitope targeted by bNAbs such as VRC01 , VRC07  and 3BNC117  is the CD4 binding site. The epitope recognized by bNAbs such as PGT121, PGT128  and 10-1074 , the V3 glycan region represents the third target. Another epitope targeted by bNAbs such as PGT151  is gp120-gp41 quaternary interface. Finally, the membrane proximal external region of gp41 is also one epitope that can be recognized by bNAbs such as 10E8 . Abundant evidence has shown that administration of bNAbs by passive infusion in animal models can protect HIV infection. There are several animal models that have been used to mimic the transmission of HIV in humans. Simian immunodeficiency virus (SIV) infected non-human primates (NHPs) are the most closely related animal models to human transmission events , however, the Env proteins of HIV and SIV are so different that antibodies specific for HIV Env cannot cross-neutralize SIV . Therefore, chimeric simian/human immunodeficiency viruses (SHIVs), which express HIV Env in the backbone of SIV, have been used to infect NHPs to study HIV bNAbs. Because of the limited number of SHIVs available and different neutralization phenotype of commonly used SHIVs and HIV , humanized mouse models, which can be directly infected by HIV, are also extensively used in antibody protection studies. In some of the early studies, mice with severe combined immunodeficiency (SCID) transplanted with normal human peripheral blood leukocytes (hu-PBL), designated hu-PBL-SCID mice were used to demonstrate the protective efficacy of some early discovered neutralizing antibodies, such as b12 [21,22] and BAT123 [23,24]. Protections against HIV infection by passive immunization with newer generation of bNAbs, for example, 2G12 , VRC01 [26,27], PG16  and PGT126 , were also demonstrated recently in immunodeficient mice transplanted with human hematopoietic stem cells (hu-HSC) or bone marrow/ liver/thymus (BLT). For antibody protection in SHIV challenge model, one of the earliest studies was using polyclonal HIV IgG derived from HIVinfected chimpanzees. Passive immunization of pig-tailed macaques with the HIV IgG protected them against intravenously challenging with a HIV strain DH12 based SHIV . Some proof-of-principle studies for protection with neutralizing antibodies were performed using the firstgeneration bNAbs, like 2F5, 2G12, F105, 4E10 and b12 alone [31-33] or in combination [34-36]. Among them, the b12 antibody targeting CD4 binding site, has been extensively investigated in SHIV challenged monkeys, and really helped us understand the mechanism and durability of antibody protection [37-39]. With the identification of newer generation bNAbs, many more protection studies were conducted by different groups (Table 1). Burton and colleagues showed that one potent bNAb, PGT121, could protect monkeys from infecting by the SHIVSF162P3 challenge virus at lower serum concentrations than observed before . VRC01 [41-44], its FcRn enhancing version with LS (M428L/N434S) mutation [15,43,44], its simianized version  as well as its more potent clonal relative VRC07 , have been well studied in multiple SHIV protection experiments. Two recently identified V2-specific antibodies, PGDM1400 and CAP256-VRC26.25 with exceptionally high potency, provided full protection against a novel clade C SHIV-325c virus at very low infusion doses . Some other antibodies, such as 3BNC117, 10-1074 [42,43], PGT126 , PG9 and 10E8  have also demonstrated protection (Table 1). Moldt et al., 2012 SF162P3 PGT121 0.2-5 mg/kg 1 d Vaginal • Sterilizing immunity was achieved in all animals administered 5 mg/kg and 1 mg/kg and three of five animals administered 0.2 mg/kg PGT121. DH12-V3AD8 VRC01, 45-46m2, 3BNC117, PGT121 and 10Ã¢ÂÂ1074 0.2-50 mg/kg 1 d Intrarectal • Partial protection at higher concentrations. • Neutralizing titers are predictive of protection. intrarectal • Anti-CD4 antibody did not provide effective protection in vivo. • VRC01, 10E8, and PG9 conferred complete protection, albeit at different relative potencies. VRC01-LS 0.3 mg/kg 5 d Intrarectal • Enhanced FcRn-binding mutant bnAb, VRC01-LS, dispalyed improved protection against primate SHIV infection than wild type VRC01. VRC07-523-LS 0.05-0.3 mg/kg 5 d Intrarectal • VRC07-523 prevented infection in NHPs at a 5-fold lower concentration than VRC01. Saunders et al., 2015 BaLP4 Simian VRC01-LS Four times of 5 mg/kg 52 d Intrarectal • Simianized antibody sustained therapeutic levels for ~5 months. • Two months after the final antibody administration, animals were completely protected against viral challenge. intrarectal • Neutralizing antibody affords comparable protection against vaginal and rectal SHIV challenge in macaques. Gautam et al., 2016 AD8-EO VRC01, VRC01-LS, 3BNC117, and 10-1074 20 mg/kg 7 d Intrarectal • A single injection of four anti-HIV-1-neutralizing monoclonal antibodies in blocking repeated weekly low-dose virus challenges of the clade B SHIVAD8. • Median protection time from 8 to 14.5 weeks. Julg et al., 2017 325c PGDM1400 and CAP256-VRC26.25 0.08-2 mg/kg 1 d Intrarectal • PGDM1400 was fully protective at the 0.4 mg/kg dose, whereas CAP256-VRC26.25-LS was fully protective even at the 0.08 mg/kg dose. Julg et al., 2017 SF162P3 325c PGT121 and PGDM1400 5-10 mg/kg 1 d Intrarectal • SHIV-SF162P3 was sensitive in vitro to PGT121 but resistant to PGDM1400, whereas SHIV-325c was sensitive to PGDM1400 but resistant to PGT121. • Only the PGT121+ PGDM1400 combination protected against this mixed SHIV challenge. 325c VRC01/PGDM1400-10E8v4 5 mg/kg 5 d Mucosal • SHIV BaLP4 was sensitive to VRC01 and the trispecific antibody but was resistant to PGDM1400. • SHIV 325C virus was sensitive to PGDM1400 and the trispecific Ab but was resistant to VRC01. • The trispecific Abs conferred complete immunity against the mixture of SHIVs, but not the single Abs. Table 1 :SHIV protection studies with next-generation bNAbs. However, none of these bNAbs neutralizes all of viral isolates, thus single bNAbs can select resistant viruses to establish infection if the animals were challenged with a diverse swarm of viruses . Therefore, combination is required for bNAb prevention strategies. Julg et al. showed that PGT121 alone and PGDM1400 alone both failed, but the combination of these two bNAbs provided 100% protection against a mixed challenge with SHIV-SF162P3 and SHIV-325c . Another way to do bNAbs combination is constructing them into bispecific or trispecific antibodies. One trispecific antibody (VRC01/ PGDM1400-10E8v4), combining the potency and breadth of three bNAbs into one molecule, conferred complete immunity in nonhuman primates against a mixture of SHIVs with different sensitivities to the single antibodies . Ho and colleagues combined bNAbs with antibodies targeting host cellular proteins like the viral receptors CD4 or CCR5 into bispecific antibodies, and showed one of them, 10E8V2.0/iMab provided protection against HIV challenge in hu-HSC mice . Due to the vigorous development of the antibody field, together with the growing number of broad and potent HIV monoclonal antibodies identified, it’s an extraordinary opportunity to use the passive immunization approach for HIV prevention. In SHIV challenged monkeys and HIV challenged humanized mice, passive immunization studies using bNAbs, especially the potent second-generation ones, were highly successful in protecting animals against viral infection. Although the Fc-mediated effector function was showed important , the mechanisms of protection are not fully understood. We also don’t know whether this approach is able to protect uninfected humans from acquiring HIV. On-going clinical trials called Antibody Mediated Prevention (AMP) studies are being conducted by two groups in high-risk homosexual men in the Americas and heterosexual women in Africa, testing whether VRC01 can prevent HIV infection, with results expected by 2020 . However, using the currently identified single antibody, like VRC01, targeting a single neutralization-sensitive epitope is unlikely to provide enough protection. Thus, broader and more potent bNAbs with longer half-lives and lower manufacturing costs need to be tested alone or more importantly in combinations. A vaccine would induce multiple antibody specificities and mediate innate and adaptive immune responses, which are not imparted by passive immunization. But before a safe and effective HIV vaccine is developed, passive immunization could contribute to HIV prevention efforts. Barouch DH (2008) Challenges in the development of an HIV-1 vaccine. Nature 455: 613-619. Haynes BF, Shaw GM, Korber B, Kelsoe G, Sodroski J, et al. (2016) HIV-host interactions: Implications for vaccine design. Cell Host Microbe 19: 292-303. Rerks-Ngarm S, Pitisuttithum P, Nitayaphan S, Kaewkungwal J, Chiu J, et al. (2009) Vaccination with ALVAC and AIDSVAX to prevent HIV-1 infection in Thailand. N Engl J Med 361: 2209-2220. Graham BS, Ambrosino DM (2015) History of passive antibody administration for prevention and treatment of infectious diseases. Curr Opin HIV AIDS 10: 129-134. Perreau M, Banga R, Pantaleo G (2017) Targeted immune interventions for an HIV-1 cure. Trends Mol Med 23: 945-961. Lu LL, Suscovich TJ, Fortune SM, Alter G (2018) Beyond binding: Antibody effector functions in infectious diseases. Nat Rev Immunol 18: 46-61. Bonsignori M, Liao HX, Gao F, Williams WB, Alam SM, et al. (2017) Antibody-virus co-evolution in HIV infection: Paths for HIV vaccine development. Immunol Rev 275: 145-160. Wu X, Zhou T, Zhu J, Zhang B, Georgiev I, et al. (2011) Focused evolution of HIV-1 neutralizing antibodies revealed by structures and deep sequencing. Science 333: 1593-1602. Burton DR, Hangartner L (2016) Broadly neutralizing antibodies to HIV and their role in vaccine design. Annu Rev Immunol 34: 635-659. Pegu A, Hessell AJ, Mascola JR, Haigwood NL (2017] Use of broadly neutralizing antibodies for HIV-1 prevention. Immunol Rev 275: 296-312. Walker LM, Phogat SK, Chan-Hui PY, Wagner D, Phung P, et al. (2009] Broad and potent neutralizing antibodies from an African donor reveal a new HIV-1 vaccine target. Science 326: 285-289. Walker LM, Huber M, Doores KJ, Falkowska E, Pejchal R, et al. (2011] Broad neutralization coverage of HIV by multiple highly potent antibodies. Nature 477: 466-470. Sok D, van Gils MJ, Pauthner M, Julien JP, Saye-Francisco KL, et al. (2014] Recombinant HIV envelope trimer selects for quaternary-dependent antibodies targeting the trimer apex. Proc Natl Acad Sci U S A 111: 17624-17629. Wu X, Yang ZY, Li Y, Hogerkorp CM, Schief WR, et al. (2010) Rational design of envelope identifies broadly neutralizing human monoclonal antibodies to HIV-1. Science 329: 856-861. Rudicell RS, Kwon YD, Ko SY, Pegu A, Louder MK, et al. (2014) Enhanced potency of a broadly neutralizing HIV-1 antibody in vitro improves protection against lentiviral infection in vivo. J Virol 88: 12669-12682. Scheid JF, Mouquet H, Ueberheide B, Diskin R, Klein F, et al. (2011) Sequence and structural convergence of broad and potent HIV antibodies that mimic CD4 binding. Science 333: 1633-1637. Mouquet H, Scharf L, Euler Z, Liu Y, Eden C, et al. (2012) Complex-type N-glycan recognition by potent broadly neutralizing HIV antibodies. Proc Natl Acad Sci U S A 109: E3268-3277. Blattner C, Lee JH, Sliepen K, Derking R, Falkowska E, et al. (2014) Structural delineation of a quaternary, cleavage-dependent epitope at the gp41-gp120 interface on intact HIV-1 Env trimers. Immunity 40: 669-680. Huang J, Ofek G, Laub L, Louder MK, Doria-Rose NA, et al. (2012) Broad and potent neutralization of HIV-1 by a gp41-specific human antibody. Nature 491: 406-412. Lifson JD, Haigwood NL (2012) Lessons in nonhuman primate models for AIDS vaccine research: From minefields to milestones. Cold Spring Harb Perspect Med 2: a007310. Parren PW, Ditzel HJ, Gulizia RJ, Binley JM, Barbas CF, et al. (1995) Protection against HIV-1 infection in hu-PBL-SCID mice by passive immunization with a neutralizing human monoclonal antibody against the gp120 CD4-binding site. AIDS 9: F1-6. Gauduin MC, Parren PW, Weir R, Barbas CF, Burton DR, et al. (1997) Passive immunization with a human monoclonal antibody protects hu-PBL-SCID mice against challenge by primary isolates of HIV-1. Nat Med 3: 1389-1393. Safrit JT, Fung MS, Andrews CA, Braun DG, Sun WN, et al. (1993) Hu-PBL-SCID mice can be protected from HIV-1 infection by passive transfer of monoclonal antibody to the principal neutralizing determinant of envelope gp120. AIDS 7: 15-21. Gauduin MC, Safrit JT, Weir R, Fung MS, Koup RA (1995) Pre-and postexposure protection against human immunodeficiency virus type 1 infection mediated by a monoclonal antibody. J Infect Dis 171: 1203-1209. Luo XM, Lei MY, Feidi RA, West AP, Balazs AB, et al. (2010) Dimeric 2G12 as a potent protection against HIV-1. PLoS Pathog 6: e1001225. Veselinovic M, Neff CP, Mulder LR, Akkina R (2012) Topical gel formulation of broadly neutralizing anti-HIV-1 monoclonal antibody VRC01 confers protection against HIV-1 vaginal challenge in a humanized mouse model. Virology 432 :505-510. Sun M, Li Y, Yuan Z, Lu W, Kang G, et al. 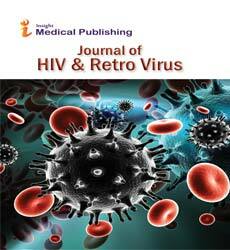 (2016) VRC01 antibody protects against vaginal and rectal transmission of human immunodeficiency virus 1 in hu-BLT mice. Arch Virol 161: 2449-2455. Stoddart CA, Galkina SA, Joshi P, Kosikova G, Long BR, et al. (2014) Efficacy of broadly neutralizing monoclonal antibody PG16 in HIV-infected humanized mice. Virology 462-463: 115-125. Deruaz M, Moldt B, Le KM, Power KA, Vrbanac VD, et al. (2016) Protection of humanized mice from repeated intravaginal HIV challenge by passive immunization: A model for studying the efficacy of neutralizing antibodies In Vivo. J Infect Dis 214: 612-616. Shibata R, Igarashi T, Haigwood N, Buckler-White A, Ogert R, et al. (1999) Neutralizing antibody directed against the HIV-1 envelope glycoprotein can completely block HIV-1/SIV chimeric virus infections of macaque monkeys. Nat Med 5: 204-210. Parren PW, Marx PA, Hessell AJ, Luckay A, Harouse J, et al. (2001) Antibody protects macaques against vaginal challenge with a pathogenic R5 simian/human immunodeficiency virus at serum levels giving complete neutralization in vitro. J Virol 75: 8340-8347. Hessell AJ, Rakasz EG, Poignard P, Hangartner L, Landucci G, et al. (2009) Broadly neutralizing human anti-HIV antibody 2G12 is effective in protection against mucosal SHIV challenge even at low serum neutralizing titers. PLoS Pathog 5: e1000433. Hessell AJ, Rakasz EG, Tehrani DM, Huber M, Weisgrau KL, et al. (2010) Broadly neutralizing monoclonal antibodies 2F5 and 4E10 directed against the human immunodeficiency virus type 1 gp41 membrane-proximal external region protect against mucosal challenge by simian-human immunodeficiency virus SHIVBa-L. J Virol 84: 1302-1313. Mascola JR, Lewis MG, Stiegler G, Harris D, VanCott TC, et al. (1999) Protection of Macaques against pathogenic simian/human immunodeficiency virus 89.6PD by passive transfer of neutralizing antibodies. J Virol 73: 4009-4018. Baba TW, Liska V, Hofmann-Lehmann R, Vlasak J, Xu W, et al. (2000) Human neutralizing monoclonal antibodies of the IgG1 subtype protect against mucosal simian-human immunodeficiency virus infection. Nat Med 6: 200-206. Mascola JR, Stiegler G, VanCott TC, Katinger H, Carpenter CB, et al. (2000) Protection of macaques against vaginal transmission of a pathogenic HIV-1/SIV chimeric virus by passive infusion of neutralizing antibodies. Nat Med 6: 207-210. Hessell AJ, Hangartner L, Hunter M, Havenith CE, Beurskens FJ, et al. (2007) Fc receptor but not complement binding is important in antibody protection against HIV. Nature 449: 101-104. Hessell AJ, Poignard P, Hunter M, Hangartner L, Tehrani DM, et al. (2009) Effective, low-titer antibody protection against low-dose repeated mucosal SHIV challenge in macaques. Nat Med 15: 951-954. Moldt B, Shibata-Koyama M, Rakasz EG, Schultz N, Kanda Y, et al. (2012) A nonfucosylated variant of the anti-HIV-1 monoclonal antibody b12 has enhanced FcgammaRIIIa-mediated antiviral activity in vitro but does not improve protection against mucosal SHIV challenge in macaques. J Virol 86: 6189-6196. Moldt B, Rakasz EG, Schultz N, Chan-Hui PY, Swiderek K, et al. (2012) Highly potent HIV-specific antibody neutralization in vitro translates into effective protection against mucosal SHIV challenge in vivo. Proc Natl Acad Sci U S A 109: 18921-18925. Pegu A, Yang ZY, Boyington JC, Wu L, Ko SY, et al. (2014) Neutralizing antibodies to HIV-1 envelope protect more effectively in vivo than those to the CD4 receptor. Sci Transl Med 6: 243ra88. Shingai M, Donau OK, Plishka RJ, Buckler-White A, Mascola JR, et al. (2014) Passive transfer of modest titers of potent and broadly neutralizing anti-HIV monoclonal antibodies block SHIV infection in macaques. J Exp Med 211: 2061-2074. Gautam R, Nishimura Y, Pegu A, Nason MC, Klein F, et al. (2016) A single injection of anti-HIV-1 antibodies protects against repeated SHIV challenges. Nature 533: 105-109. Ko SY, Pegu A, Rudicell RS, Yang ZY, Joyce MG, et al. (2014) Enhanced neonatal Fc receptor function improves protection against primate SHIV infection. Nature 514: 642-645. Saunders KO, Pegu A, Georgiev IS, Zeng M, Joyce MG, et al. (2015) Sustained delivery of a broadly neutralizing antibody in nonhuman primates confers long-term protection against simian/human immunodeficiency virus infection. J Virol 89: 5895-5903. Julg B, Tartaglia LJ, Keele BF, Wagh K, Pegu A, et al. (2017) Broadly neutralizing antibodies targeting the HIV-1 envelope V2 apex confer protection against a clade C SHIV challenge. Sci Transl Med 9: eaal1321. Moldt B, Le KM, Carnathan DG, Whitney JB, Schultz N, et al. (2016) Neutralizing antibody affords comparable protection against vaginal and rectal simian/human immunodeficiency virus challenge in macaques. AIDS 30: 1543-1551. Julg B, Liu PT, Wagh K, Fischer WM, Abbink P, et al. (2017) Protection against a mixed SHIV challenge by a broadly neutralizing antibody cocktail. Sci Transl Med 9: eaao4235. Xu L, Pegu A, Rao E, Doria-Rose N, Beninga J, et al. (2017) Trispecific broadly neutralizing HIV antibodies mediate potent SHIV protection in macaques. Science 358: 85-90. Huang Y, Yu J, Lanzi A, Yao X, Andrews CD, et al. (2016) Engineered bispecific antibodies with exquisite HIV-1-neutralizing activity. Cell 165: 1621-1631. Morris L, Mkhize NN (2017) Prospects for passive immunity to prevent HIV infection. PLoS Med 14: e1002436.